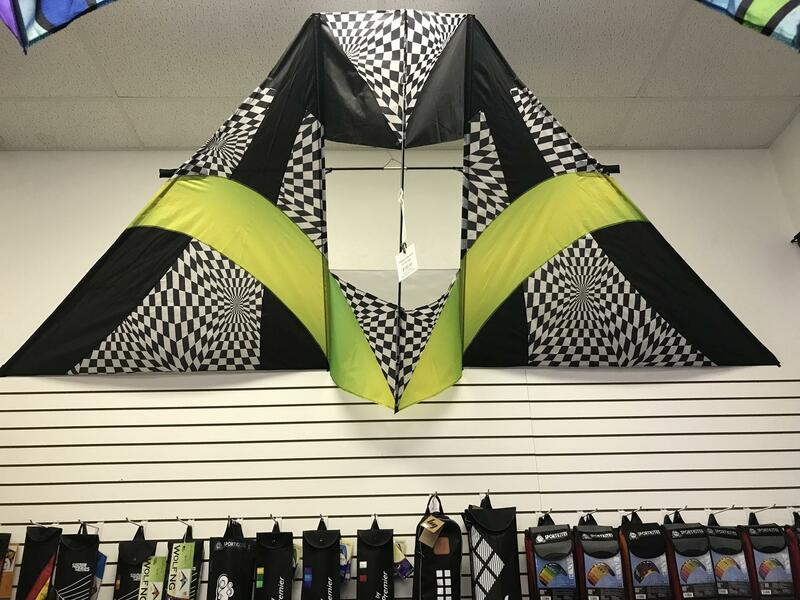 I was at kite shop yesterday and came across this 12' box delta. I am deciding between the 11' delta with No Box versus this one. Does one have more lift than other or fly in better or different conditions? 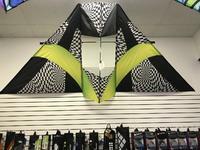 I have found that DC and double-DC kites fly WAY better than traditional flat Deltas. I have a number of both, and that's been my experience. I've talked with others who claim to never have problems with regular deltas, but I find that they have a smaller wind range, and are not very tolerant of anything but smooth wind. 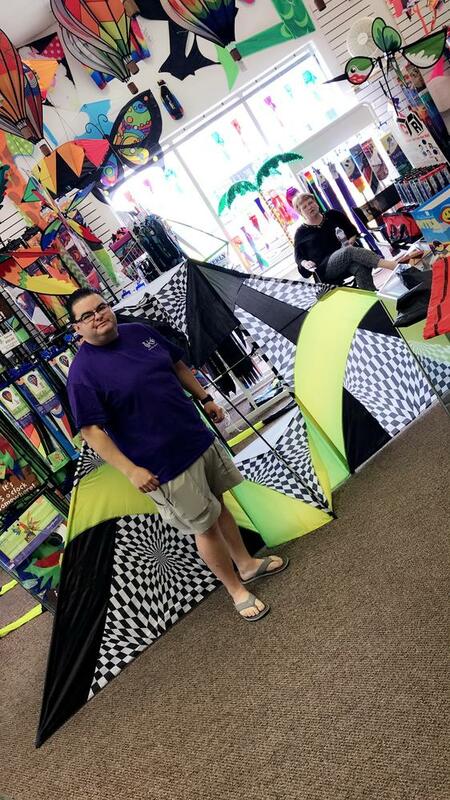 Ghost or Pyro deltas are a different story, they are very stable in a wide variety of winds, but the traditional triangle delta is not a set it & forget it kind of kite, they will end up on the ground if not constantly tended to. One exception to this in my collection is an 11' mesh delta, that isn't too bad, but still ends up on the ground unexpectedly. The DC and double DCs can be staked out and fly for hours, and will be in the sky where you left them unless the wind drops. By far, this is my favorite, it flies in 5-25 mph winds, bumpy, choppy, or smooth... all day long. I really am leaning to the box delta, it's different and not something I have in the collection. @RobB That Barbara Meyer Double Box is a beauty and the tails just add to it! That is one nice looking Conyne. I do not own a Conyne of that size. 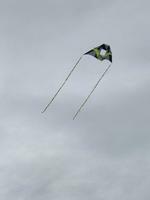 For comparison, the 8' ITW Rocky Mountain Conyne lifted the new 6' ITW Flying Spider windsock better than a Powersled 14. The 14 wasn't a slouch, but there were times when the Spider was getting on the heavy side for it. I use a Powersled 10 interchangeably with a 5' Conyne for lifting light things or as a pilot kite. I would guess that a Powersled 24 would have more lifting power than a 12' Conyne. I find that, without a tail, the Delta will more easily overfly and glide than a Conyne. Adding a tail usually cures this issue. I know my 11' and larger deltas will fly in less wind than my 8' Conynes. As for stability, I would say the Conyne with two tails is about as stable as a sled with a drogue. 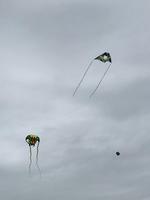 Went back into the shop today and purchased the Box Kite with twin matching tails! Running 250 lb line for lifting laundry. I agree, save that 250# line for winds less than 10mph. All these 10'+ kites develop serious pull in winds over 10mph. I fly with mostly 300# and 500# line. This is what the double DC looked like yesterday in ~15mph winds. It was work to pull it back down ! 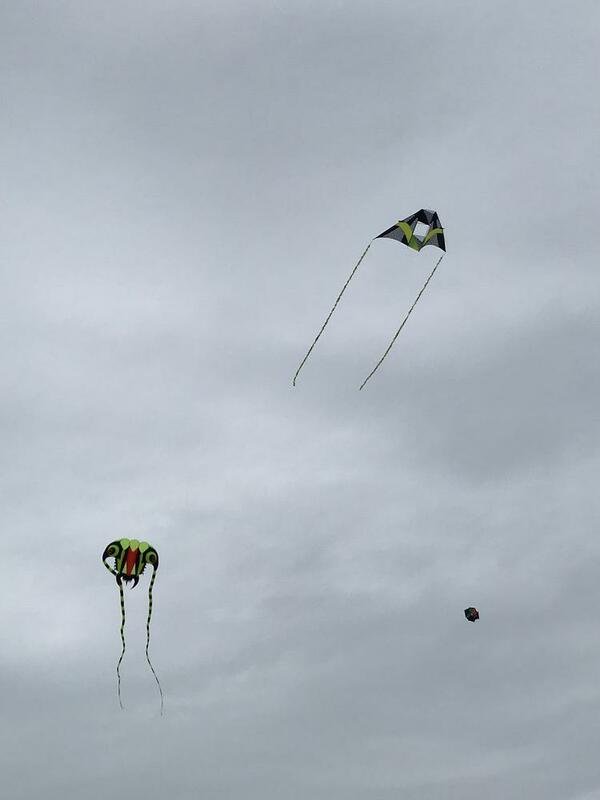 Did you get the kite in the OP ? What color fuzzies ? how long ? That is going to look super-sweet ! Make sure you post some pix, can't wait to see ! Kite is officially home with twin tails! Winds were 3 mph today. Hoping to fly tomorrow! If I do fly tomm., I’ll post pics.. Excellent wind today! She flew with Twin tails and also with a 33' center tail (not shown)!